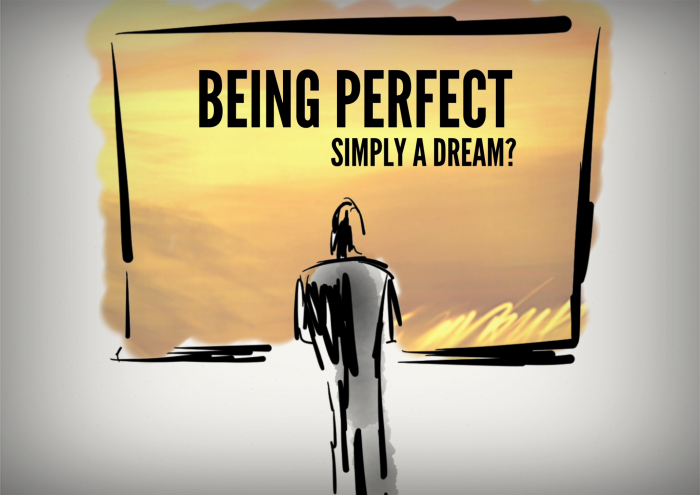 Almost everyone pursues perfection — doing the best job you can, setting goals and working hard to reach them, maintaining high standards. But perfectionism isn’t about any of this. Perfectionism is a long, maddening drive down a never-ending road for flawlessness; it provides no rest stops for mistakes, personal limitations or the changing of minds. Perfectionism can cause feelings of anxiety, fear, and self-doubt; it can cripple self-esteem, stifle creativity, and put a stumbling block in the way of intimate friendships and love relationships. Ultimately, it can create or aggravate illnesses such as eating disorders, manic-depressive mood disorder, obsessive-compulsive disorder and substance abuse. Everybody has some “built-in” perfectionism, especially in our achievement-oriented, competitive culture. Complete this questionnaire to discover how perfectionistic you are. I never do anything halfway; it’s all or nothing for me. At all time. People who do things halfway make me angry or disgust me. I believe there’s a certain way to do things and they should always be done that way. I get angry or defensive when I make mistakes. I hate to make them. I often procrastinate on starting projects. I seldom meet deadlines. Or if I do, I kill myself meeting them. I feel humiliated when things aren’t perfect. I don’t like to admit not knowing how to do something or to being a beginner. If I can’t do something well, I won’t do it. People say I expect too much of myself. Or of them. In my family, you could never completely measure up to expectations. I’m hard on myself when I lose, even if it’s only a friendly game or contest. I often withdraw from others and from group activities. I don’t think work should be fun or pleasurable. Even when I accomplish something, I feel let down or empty. I criticize myself and others excessively. I like to be in control; if I can’t be in control then I won’t participate. No matter how much I have done, there’s always more I could do. I don’t delegate often and when I do, I always double-check to make sure the job is done right. It never is. I believe it is possible to do something perfectly and if I keep at it, I can do it perfectly. Forgetting and forgiving is not something I do easily or well. There is a difference between excellence and perfection. Striving to be really good is excellence; trying to be flawless is perfectionism. If you’re concerned about your perfectionist behavior, don’t hesitate to call.